EDINBURG — UTRGV is about to hit the reset button on the 2017-18 season, but coach Lew Hill plans to take at least a day to reflect on the regular-season finale before shifting focus to the WAC Tournament. On Monday, Hill said his message to the team would be about a fresh start and a 0-0 record. But Saturday night and today, on the heels of an 86-71 loss to New Mexico State at the UTRGV Fieldhouse, Hill has a different point to make. During the first half, New Mexico State scored 30 points in the paint and shot 70.8 percent (17 of 24) from inside the arc to build a 48-33 advantage by the break. NMSU outrebounded UTRGV 48-35 for the game, at one point owning a 17-4 advantage on the glass. UTRGV finishes the regular season 15-16 overall and 6-8 in the WAC, locked in as the No. 5 seed in the WAC Tournament. The Vaqueros will face Seattle U at 10:30 p.m. Thursday in Las Vegas. Seattle swept the season series against UTRGV, winning 79-76 in overtime on Jan. 18 in Edinburg and notching an 85-68 victory on Feb. 15 in Seattle. Four New Mexico State players scored in double figures by halftime. For the game, Jemerrio Jones posted 18 points with 13 rebounds, Zach Lofton had 17 points and 10 rebounds, Johnathon Wilkins netted 16 points, and AJ Harris scored 15 points. The Aggies (25-5, 12-2) reversed their fortunes on offense in the second half, connecting on 6 of 11 from beyond the arc to protect their advantage. “New Mexico, they’re No. 1 in our conference for a reason, and they showed it tonight,” Dixon said. Saturday marked the final home game for UTRGV’s five seniors: Dixon, McDonald, Mike Hoffman, Dan Kimasa and Adonis Rwabigwi. Dixon, UTRGV’s leading scorer this year with 20.5 points per game, netted 14 with three rebounds, an assist and two steals on Saturday. Dixon graduated high school in 2011 and took a year off from basketball before making the team at Morton College after an open gym tryout. 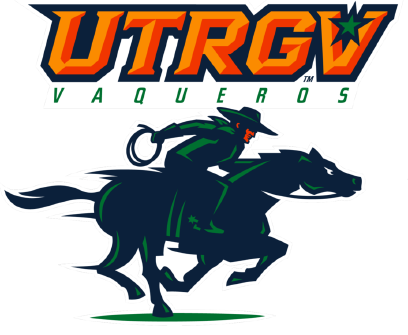 He signed with UTRGV for the 2015-16 season, left the team after two games and then returned for a two-year run during which he scored more than 1,000 points. McDonald, a McAllen native who played at IMG Academy in Florida, started his college career with a redshirt at UTPA in 2013-14. After playing as a redshirt freshman in 2014-15, he went to Highland Community College for a year and then returned to UTRGV for his final two college seasons. He scored eight points with five assists, two steals and no turnovers on Saturday. New Mexico State used a 10-1 run to open up a 22-11 lead near the midpoint of the opening half. UTRGV’s offense went cold during the stretch, with 6 minutes and 12 seconds between field goals. An 11-0 burst near the end of the first half gave New Mexico State its biggest advantage of the period at 21 points, and the Aggies took a 48-33 lead into the halftime break. New Mexico State’s lead stretched to 25 points less than five minutes into the second half, and UTRGV never pulled closer than 15, doing so when Hoffman hit a 3 with 11 seconds remaining to help UTRGV close on a 9-0 run. “There were times when it showed, but for the most part, it was effortless,” McDonald said. On Monday, the team will shift focus to the WAC Tournament. As for today, Hill still plans to reflect. “Showing them the film, talk to them, and see if they can get somebody to lead us,” Hill said.